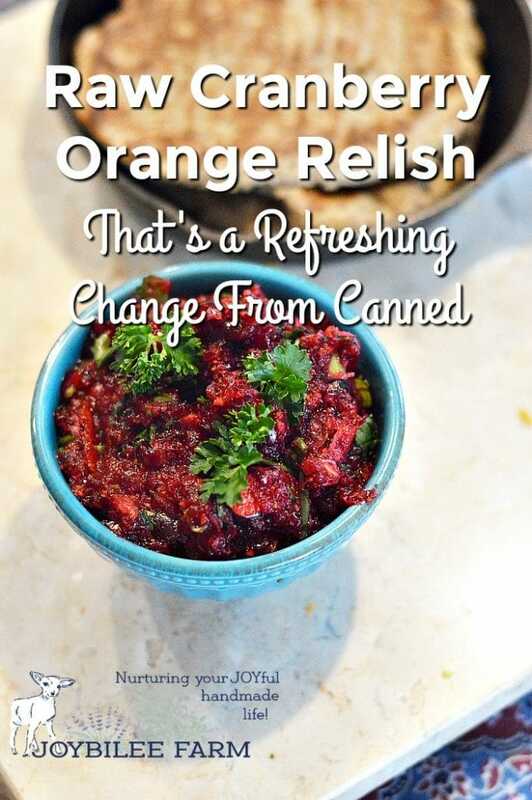 This easy to make raw cranberry orange relish can be made in just 10 minutes. It’s full of fresh herbs and healthy antioxidants and is just as at home with turkey and stuffing as it is with fish, beans, or eggs. Use it as a relish or as a refreshing side salad to gain all the health benefits of raw cranberries and fresh herbs. Have you seen those 2 pound pages of fresh cranberries at Costco? Ruby red and stunning in the produce section, waiting for the festive season shoppers to snap them up. They last a long time in the fridge, well into February, so you might have a bag sitting in the fridge right now. You might be wondering what you can do with them besides making jellied cranberry sauce. This recipe uses one 2 pound bag and is enough for 16 half cup servings. That’s a few meals if you have a family of 4 or 6. If you’ve never had raw cranberries before, you’re in for a treat. Cranberries are rich in antioxidants and vitamin C. Recent studies have identified over 24 antioxidant, phytonutrients in raw cranberries. Traditionally they have been used to treat urinary tract infections because of their tart acidic flavor. They are high in anticancer compounds like anthocyanins. They improve immunity and are beneficial for circulation, heart function, and blood pressure. They are also anti-inflammatory and aid in blood sugar regulation. This cranberry orange relish uses fresh basil and parsley, green onions, and one navel orange, with just a touch of honey to bring out the flavor of the raw cranberries and herbs. Let it sit in the fridge for 30 minutes after you make it to allow the flavors to meld. It will keep for several days in the fridge. Or freeze the extras to use as a glaze for chicken or fish. 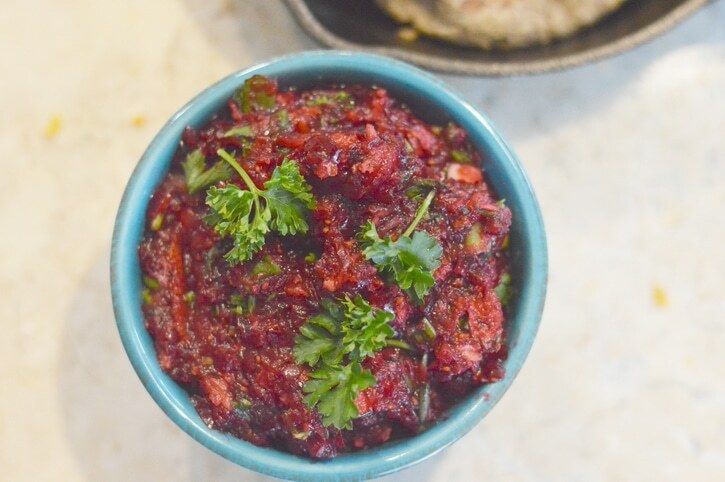 This easy to make raw cranberry orange relish is made with fresh cranberries and fresh herbs. It’s just as tasty with turkey and stuffing as it is with salmon, beans, or as an accompaniment to eggs. No need to open a can when this can be ready in 1o minutes. ¼ cup fresh parsley, chopped. 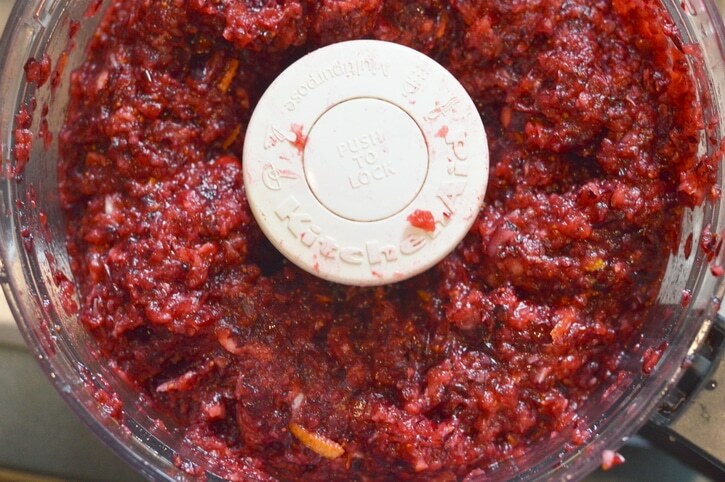 Put cranberries, orange zest, orange juice, and honey in a food processor and process on pulse until coarsely chopped. Transfer to a medium bowl. Stir in chopped green onions, basil, and parsley. 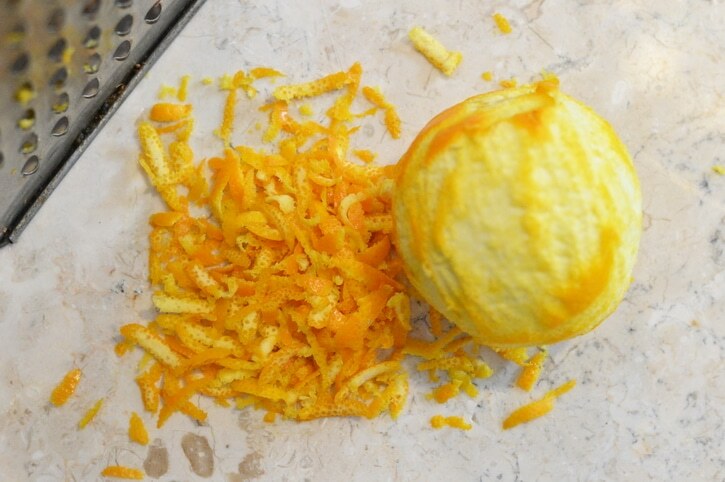 Sprinkle with additional orange zest for color. Cover bowl and refrigerate for one hour. The salsa will become juicer as the flavors meld. Using a slotted spoon transfer the salsa solids to a serving bowl. Use the extra juice for the base for a jellied salad or stir additional honey into the juice and use it as a glaze for chicken or turkey. This cranberry orange relish can also be used as a side salad as you would coleslaw. One you make up the cranberry orange relish there’s lots of ways to serve it. It will keep in the fridge for several days or you can freeze it to use later. It can be used as a relish for meat, fish, or poultry. But it’s raw, so go ahead and serve it as a side salad, as you would cole slaw. Add it to jello and turn it into a jellied salad. Mix it with ricotta cheese and use it to stuff crepes or shell pasta. It goes well with fish, too. There’s so many way to incorporate raw cranberry orange relish in your menus. Are cranberries safe to eat raw? Some people think that cranberries are not safe to eat raw. This is a myth. While they do taste tart and slightly bitter, this bitter, tart taste is actually healthful. It stimulates digestion and improves the way your liver and kidneys do their job. The small amount of honey in this recipe enhances the fresh taste of the cranberries without inhibiting the health benefits. So definitely enjoy this raw cranberry salad. 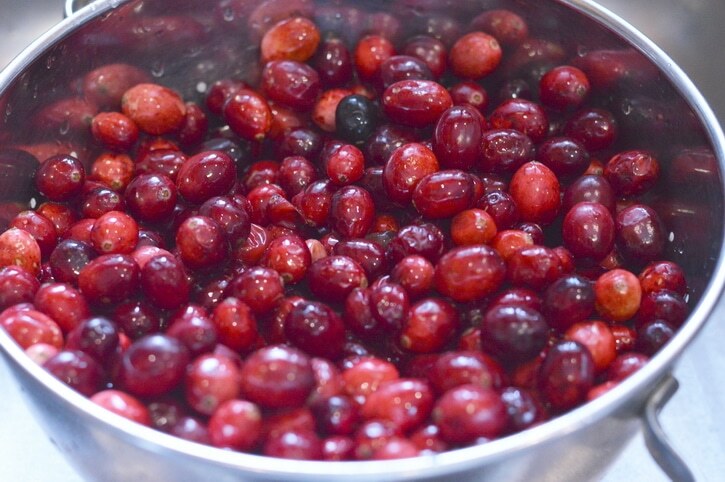 A full cup of raw cranberries only has 42 calories, making it an excellent addition to any healthy eating plan. Sounds amazing and very refreshing. I love using fresh cranberries, but haven’t found enough ways to use them. We’ll definitely be giving this a try. Thanks!